Carl Suchy & Söhne is available at a very affordable price for a collection of watches equipped with a Fleurier manufactory movement, made by Vaucher Fleurier Manufacture. 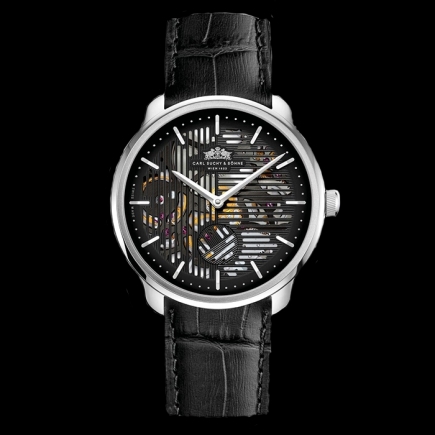 This large company based in Fleurier is a renowned watchmaker who has won numerous awards for its movements, which animate many collections of luxury watches from third-party brands. Today, Carl Suchy & Söhne, therefore, benefit from cutting-edge expertise in terms of movement, built year after year and rich in beautiful complications of fine watchmaking, one of the cradles of which is precisely the city of Fleurier. Adolf Loos, who died in the city of Vienna in 1933, is a new generation designer who inspired Carl Suchy & Söhne's watches. The man distinguished himself in the high society of his city at a time when Carl Suchy & Söhne collectible watches did not yet exist - and neither did Vaucher Manufacture Fleurier! Adolf Loos set his city in motion by leaving the charged design for a new aesthetic vision made of pure lines. 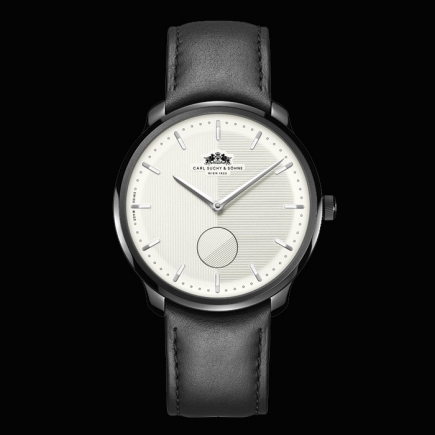 The Carl Suchy & Söhne watch, after much research, has created a collection based on it. The movement Manufacture Vaucher Fleurier Manufacture animates it. It is contained within a steel box or an ADLC steel box - in other words a grey steel-coloured box or a black steel box. 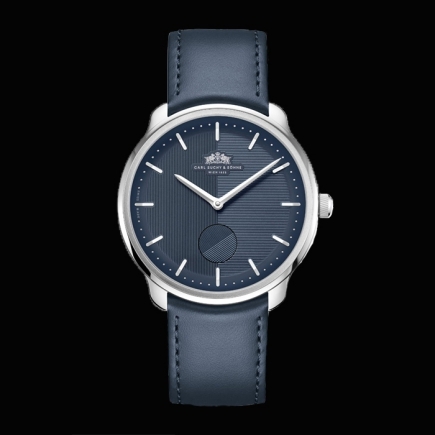 Within this case, the dial harmonizes with white, black or blue dials and, whatever the model of the case or dial, with large steel hands. 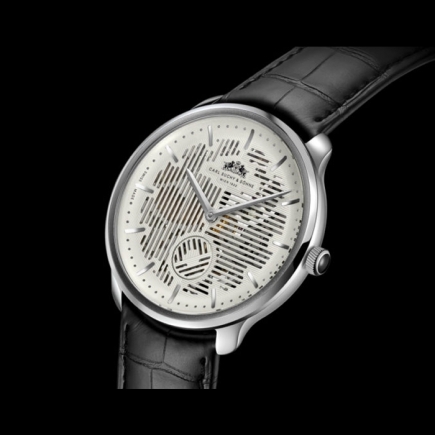 The dial of the new Carl Suchy & Söhne watch collection is unique in watchmaking. 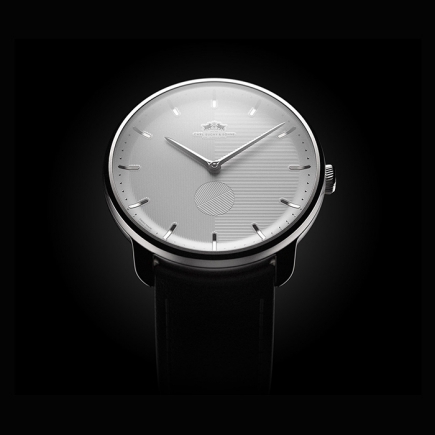 It is a dial which, unlike the dial of usual luxury watches, is crossed by thin vertical or horizontal lines. On this dial, at 6 o'clock, the Waltz N°1 watch from Carl Suchy & Söhne displays a small single second to date: its pattern aligns with the lines of the dial once a minute. Carl Suchy & Söhne, at the price of this ingenious watchmaker's find, thus signifies the transience of perfection in watchmaking. This hypnotic dial is the main feature of this Carl Suchy & Söhne watch collection. 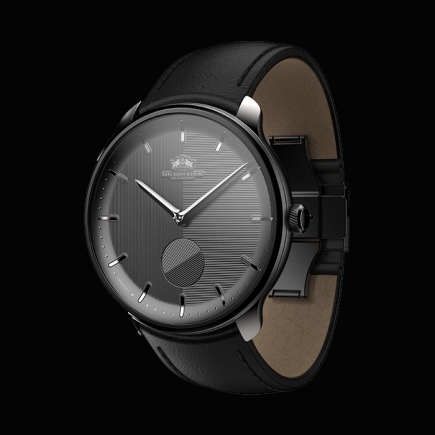 Nothing, not even a date, disturbs the purity of this new watch and its dial. 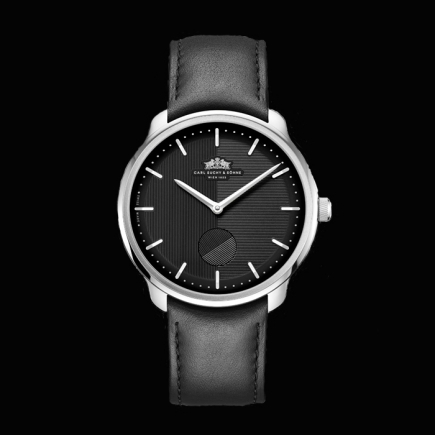 It is a new approach to watchmaking, an aesthetic vision built year after year based on the codes of the high society of the city of Vienna. Today, the new N°1 Waltz watch is completed by an inaugural collection, the Walt Skeleton watches. Same case, same movement manufacture Vaucher Manufacture Fleurier, but an openwork dial of lines dear to Carl Suchy & Söhne, revealing the Vaucher Manufacture Fleurier calibre. 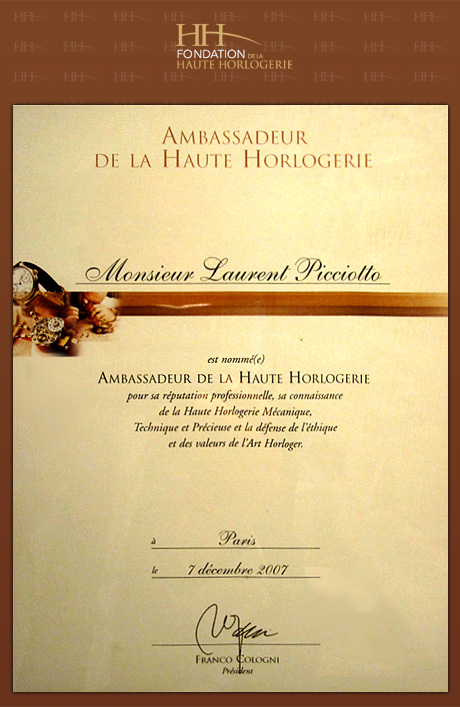 A new haute horlogerie watch that will be a landmark, with a resolutely unique design! Chronopassion is an AUTHORIZED RETAILER of CARL SUCHY & SÖHNE since 2018, the date of the brand's rebirth.